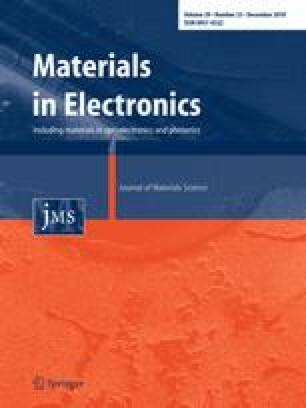 In this article, the effect of phenyl-C61-butyric acid methyl ester (PCBM) layer on the electrical performance of field-effect transistors (FETs) based on antimony-doped tin dioxide (Sb:SnO2) is reported. PCBM is a soluble variety of fullerene, n-type organic semiconductor, known to promote the p-type doping of semiconducting materials such as diamond and graphene, via charge transfer. Sb:SnO2 is an emerging low-cost transparent oxide semiconductor material that exhibits strong unipolar behavior (n-type). Ambipolar character in tin dioxide normally is not observed, however in this study we find that the deposition of PCBM on top of Sb:SnO2 promotes ambipolar behavior in Sb:SnO2 FETs. At negative gate bias (VG < 0) PCBM traps free electrons from the conduction band of SnO2 and from Sb donors, thus downshifting the Sb:SnO2 Fermi level (EF), leading to a strong injection of holes in the valence band of Sb:SnO2. The p-type carrier concentration increases up to 8.6 × 1011 cm−2. Our results suggest that PCBM deposition decreases the current in the accumulation mode of electrons due to electron mobility decrease at VG > 0, and enhances the current in inversion mode. Besides, PCBM deposition also results in an increase of hole mobility at VG < 0. The online version of this article ( https://doi.org/10.1007/s10854-018-0131-9) contains supplementary material, which is available to authorized users. GF acknowledges a Canada Research Chair (CRC) in Carbon-based nanomaterials and nano-optoelectronics. In Canada, this work was supported through the CRC program, the Natural Sciences and Engineering Research Council of Canada (NSERC) Discovery Grant program (Grant No. RGPIN-2015-06004), and the Canada Foundation for Innovation (CFI, Grant No. 212442). In Brazil, financial support to this work was obtained from Science without Borders from the National Council of Technological and Scientific Developments (CNPq, Grant 471359/2013-0), and the Coordination for the Improvement of Higher Education Personnel (CAPES) and PNPD/CAPES.